We're proud to announce our new Temp Sensors! We've been hard at work to bring the missing piece of the comfort puzzle to you. With Temp Sensors, your Keen Zoning System knows the temperature of each room and can react automatically to improve your comfort. A Smart Vent can sense duct temperature and create a relative temperature difference between rooms. 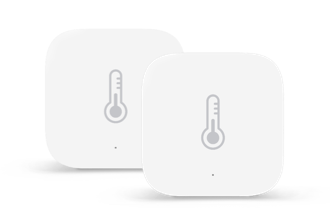 With Temp Sensors, now you can set an exact temperature target for each individual room. 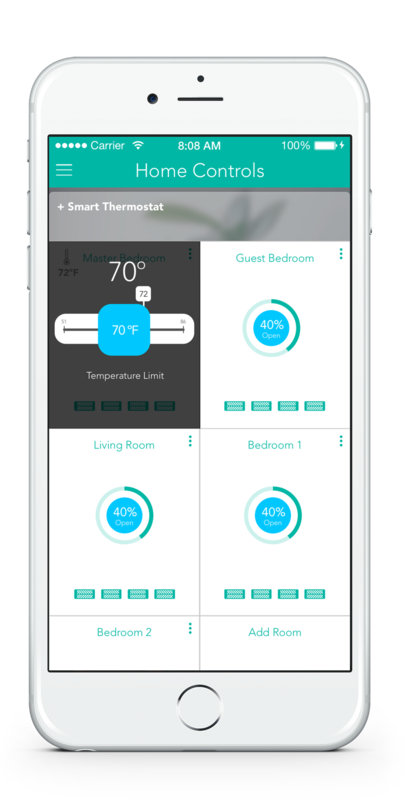 You can add a Temp Sensor to a room with a Smart Vent to create a virtual thermostat for that room in the Keen Home app. With a virtual thermostat, you can set a temperature limit where your Smart Vents will automatically close before the room temperature overshoots the thermostat target. If your home is in heating mode, Smart Vents will open below the temperature limit and close above it. If your home is in cooling mode, Smart Vents will remain open above the limit to allow more cold air in and will close to prevent over-cooling once the room temperature is below the target. This action redirects warm or cold air to the rest of the house and also evens out temperatures across the entire home. Virtual thermostats do not "call for air" like a standard HVAC zone. Instead, they rely on your thermostat to set the temperature for the house as a whole and use a temperature limit (set in the Keen Home app) to handle differences between rooms. Will Temp Sensors work with my existing Smart Vent System? Of course! Temp Sensors are an upgrade to help ensure your Keen Zoning System is as smart as possible. You can add Temp Sensors to your system just like you would add a Smart Vent. All you need is a Smart Bridge and the Keen Home app. Combining sensors with Smart Vents lets you do more than just monitor temperature - it lets you control it room-by-room.